For one oddly specific period of time each Wednesday, students are able to waste their time between classes browsing random items from local vendors. From Psockology’s vast display of weed leaf socks that prove you’ve smoked out of an apple at least once to racist tapestries for your overpriced College Town apartment, Market Wednesday has something for everyone. Now for a limited time, students are able to visit a decrepit booth usually only found on a pixelated DS screen: Crazy Redd’s Black Market. 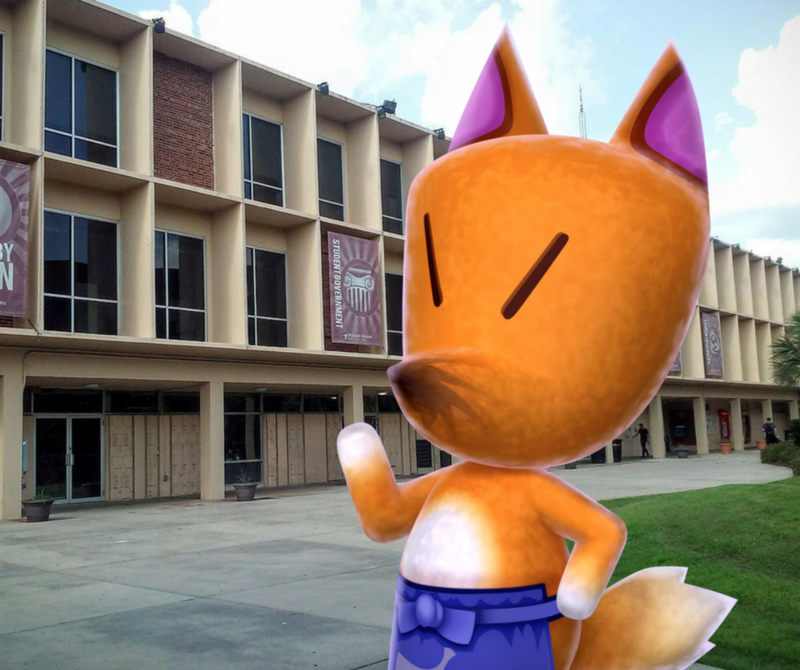 The catch is, students can only browse this suspicious fox’s knock-off wares by asking nearby FSU villagers for the password. “Unlike my rival Tom Nook who owns part of the school’s Bookstore and forces you into a life of servitude by renting textbooks, my store is privately owned and family-friendly,” Redd typed out in a passive-aggressive PictoChat message after being slandered by four of Taylor’s eighteen followers. “My wares are as rare as they come! You can even use PocketPoints here -- for an upcharge, of course,” he proudly declared as he counted the final number of tuition waivers and different forms of FSU currency acquired over the course of the day.